HopeXchange Publishing specializes in books that offer hope and healing for the mind, body and soul. This expanding company strives to reach families as well as the medical community by offering them information, understanding, and practical advice on life topics. Our words from your heart..
HopeXchange Publishing’s latest online venture is Wedding Words. Professionally written wedding poems offering a customized message that is truly from the heart. Remove the stress and time needed to create your own. Your wedding day is one of the most important days of your life. Don’t leave anything to chance. Be prepared for your special day with Wedding Words. 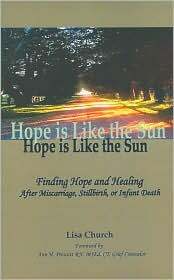 Its latest paperback offering Hope is Like the Sun, deals with the difficult subject of miscarriage and offers families and professionals hope and healing as they navigate the difficult journey through grief.